Garage Tape is WYSIWYG—What you see is what you get. The creative duo from Texas known as Stone Machine Electric performed and recorded the release in a garage and you can feel the reflective overtones oozing from the analog tape. Although the nostalgic cassette release revival probably won’t rival the vinyl one, don’t miss the point. Mark Kitchens and William (Dub) Irvin lay down righteous, hypnotic riffs without the need for vocals or overly polished production. There’s even a bit of Texas boogie-woogie seeping out beneath the expansive soundscape. Garage Tape does not have songs, only an “A” side and a “B” side. Both contain long, sultry jams with enough flow to keep you listening, but not so much to wear thin. Stone Machine Electric has a minimal online presence. They probably don’t need one. If you know about the band and like what they’re doing, you’ll find what you need. I only wish I lived closer to the Lone Star State. 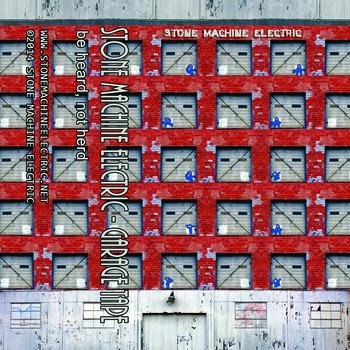 I enjoy what Stone Machine Electric is doing because it’s based on solid, tasty riffs. I’ll be curious to see where they go next.